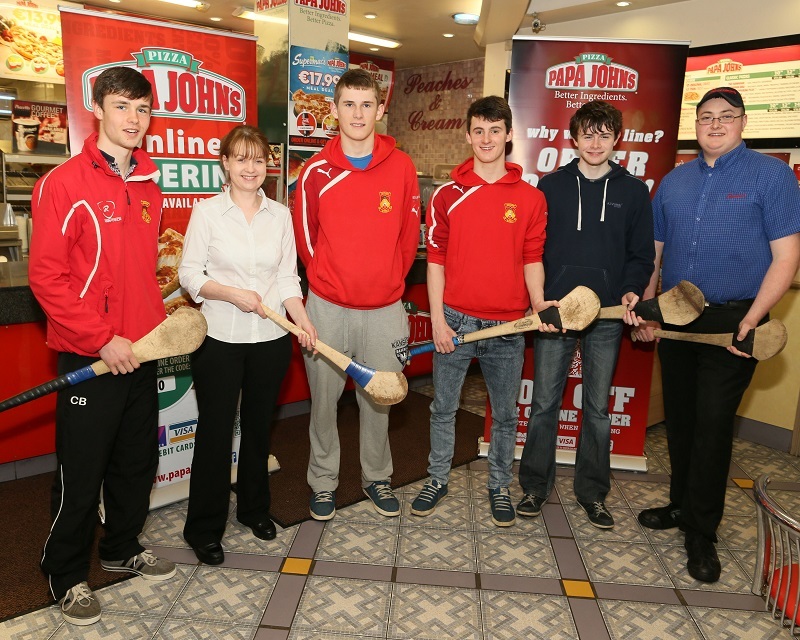 Joan Collins of Supermacs, Castlebar has joined for the 3rd year with Castlebar Mitchels Hurling Club in sponsoring a six week Schools Hurling Coaching programme. Coaching will commence on Monday 12th May and run until Friday 20th June. Daily coaching will take place in all the local national schools. Pupils from second, third, fourth, fifth and sixth class will get the opportunity to play hurling.. Equipment will be provided by the coaches. There will also be weekly competitions and prizes. New members are always welcome to join Caslebar Mitchels Hurling Club. Ger Sheridan, John Waldron, Tony Stakelum, Conor Browne, Joan Collins, Anthony O'Boyle, David Conlon, Michael Stakelum, Gary Fahy. Photo: Michael Donnelly. 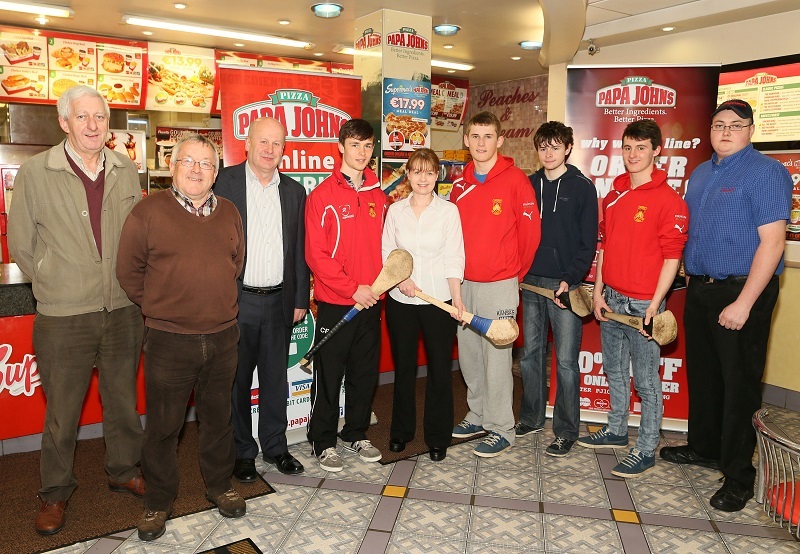 Conor Browne, Joan Collins, Anthony O'Boyle, David Conlon, Michael Stakelum, Gary Fahy. Photo: Michael Donnelly. 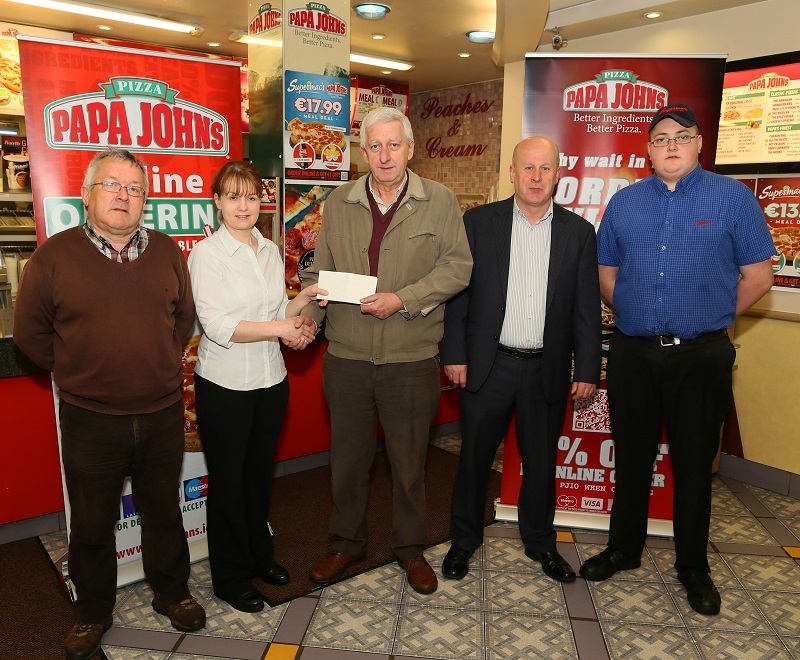 Joan Collins Supermacs presenting cheque to Ger Sheridan treasurer also in photo John Waldron, Secretary, Tony Stakelum, Chairman, and Gary Fahy Supermacs. Photo Michael Donnelly.